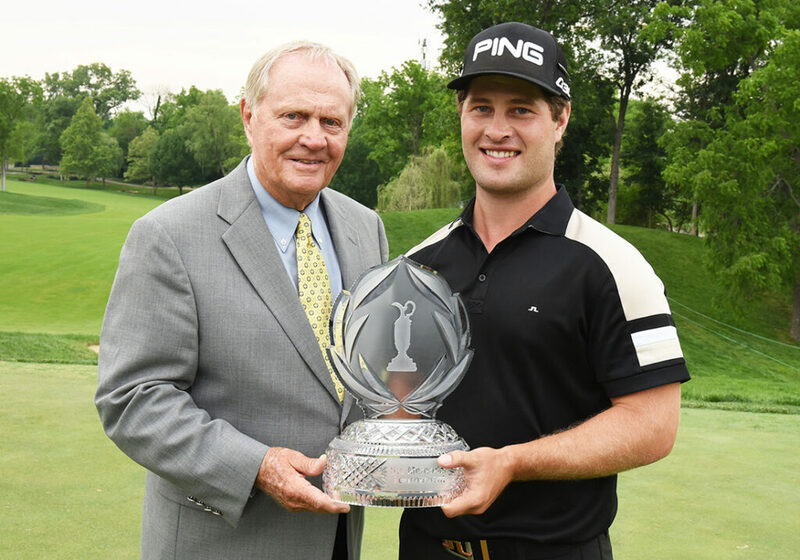 Dublin, Ohio – Officials of the Memorial Tournament presented by Nationwide announced today that the Tournament has accepted entries from defending Memorial winner David Lingmerth, World No. 1 Jason Day and current FedExCup points leader Adam Scott to compete in the 41st edition of the prestigious invitational hosted by golfing legend Jack Nicklaus. The Memorial Tournament presented by Nationwide is May 30 – June 5 at world-renowned Muirfield Village Golf Club. Lingmerth, 28, is coming off a career 2015 season. His playoff victory over 2010 Memorial winner Justin Rose was his first on the PGA TOUR, and he followed that up with three top-10 finishes over his next five events to earn more than $2.7 million on the season. He has continued to play well during the 2015-2016 campaign with four top-15 finishes, including a runner-up effort to Jason Dufner in a playoff at the CareerBuilder Challenge in partnership with the Clinton Foundation. Lingmerth is currently ranked No. 43 in FedExCup points and No. 49 in the Official World Golf Ranking The native of Tranas, Sweden, will be making his fourth start at the Memorial, where he’ll attempt to be the first player to defend his title since Tiger Woods dominated the event with three straight victories from 1999 – 2001. Lingmerth’s scoring average at Muirfield Village Golf Club is 71.17 to go with career earnings of $1,144,850.67 in the Memorial Tournament. Day has enjoyed a stronghold atop PGA TOUR leaderboards since winning his first title in 2010 at the HP Byron Nelson Championship. Since 2010 he has posted 11 top-10 finishes in major championships alone, including three out of four last year. He finished T9 at the U.S. Open, T4 at The Open Championship and then capped off his 2014-2015 major championship campaign with his first major title at the PGA Championship. He recorded a staggering 11 top-10 finishes in just 20 starts last season, joining Jordan Spieth with five TOUR wins on the year. It was the first time since 2009 that a player has recorded at least five wins in a season. Tiger Woods did it in 2009 with six wins. The last time more than one player recorded five wins in a season was 1952 when Jack Burke, Jr. (2009 Memorial Tournament Honoree) and Sam Snead (1984 Memorial Tournament Honoree) accomplished the rare feat. Day has continued to dominate this season with five top-10s in nine starts, including a T10 finish at this year’s Masters Tournament and back-to-back victories at the Arnold Palmer Invitational presented by MasterCard and World Golf Championships-Dell Match Play for his eighth and ninth PGA TOUR wins. The 28-year-old Australian native, now living in Columbus, Ohio, not only sits No. 1 in the world, but he is also No. 2 in FedExCup points. Day will be making his eighth start at the Memorial. His best finish at Muirfield Village Golf Club came in 2009 when he tied for 27th. After missing the cut last year, Day’s Tournament earnings stand at $117,151.44 and his scoring average is 72.68. Scott has been a model of consistency throughout his professional career, recording at least one PGA TOUR victory in all but four years (2005, 2009, 2012 and 2015) since joining in 2003. Along the way, the 35-year-old Australian native has collected 13 TOUR wins and career earnings totaling $43,042,216. Scott has finished inside the top-10 four times in just nine starts this season, including back-to-back victories at The Honda Classic and World Golf Championships-Cadillac Championship to currently rank No. 7 in the world and No. 1 in FedExCup points. Scott will be making his 10th start at the Memorial, looking to add to his career Tournament earnings of $934,361.33. He has recorded three top-10 finishes at Muirfield Village Golf Club and has a Tournament scoring average of 71.56. He matched his best Tournament finish in his last appearance at the Memorial in 2014 when he tied for fourth place, a feat he first accomplished in 2006. In other news, Tournament officials also announced today that tickets for the 2016 benefit concert, IGS Energy Evening with O.A.R. and Special Guest Rusted Root presented by City of Dublin, and race entries for the FORE! Miler presented by OhioHealth remain available. The 2016 benefit concert, IGS Energy Evening with O.A.R. and Special Guest Rusted Root presented by City of Dublin, is set to take place Friday, May 20, at EXPRESS LIVE! in Columbus. The annual charity event, now entering its 10th year, has raised more than $682,000 for the Nicklaus Children’s Health Care Foundation and Nationwide Children’s Hospital alliance in support of the Memorial Tournament Neonatal Intensive Care Unit (NICU) at Nationwide Children’s Hospital. Special guest Rusted Root will take the stage first, followed by O.A.R. VIP doors open at 6 p.m. EDT. Tickets are available at $175 per person or $350 per couple. For more information, please visit www.mtbenefitconcert.com. The second annual FORE! Miler presented by OhioHealth will begin at 7 p.m. on Thursday, May 26. The race will follow a route that starts and ends at Muirfield Village Golf Club and includes Memorial Drive, Avery Road, Brand Road, Muirfield Drive and Kinross Court. After the race, runners and walkers will enjoy a free Post-Race Party at the Golden Bear Club, an enclosed, climate-controlled venue located between the fairway at Hole No. 10 and the green at No. 14 at Muirfield Village Golf Club. The FORE! Miler is limited to the first 3,000 runners and walkers. Registration for the FORE! Miler is open. Race fees are $50 per person through May 15, 2016 and $55 per person starting May 16 until sold out. All proceeds from the FORE! Miler benefit Nationwide Children’s Hospital. The inaugural race in 2015 raised $40,000 for Nationwide Children’s. Race participants receive an Official FORE! Miler-themed Technical Race Shirt, an Official FORE! Miler-themed Finisher’s Medal, one complimentary Practice Round ticket ($35 value) to the Memorial Tournament (good for any one day, Monday, Tuesday or Wednesday, with Wednesday’s ticket including access to the Official Pro-Am and Memorial Honoree Ceremony) and a complimentary adult beverage at the Post-Race Party (21 and over).